DUBAI (Reuters) - Hundreds of thousands of Iranians held nation-wide rallies on Monday to mark the 40th anniversary of the fall of the Shah and the triumph of Ayatollah Ruhollah Khomeini, the Shi'ite cleric who led an Islamic Revolution that rattles the West to this day. 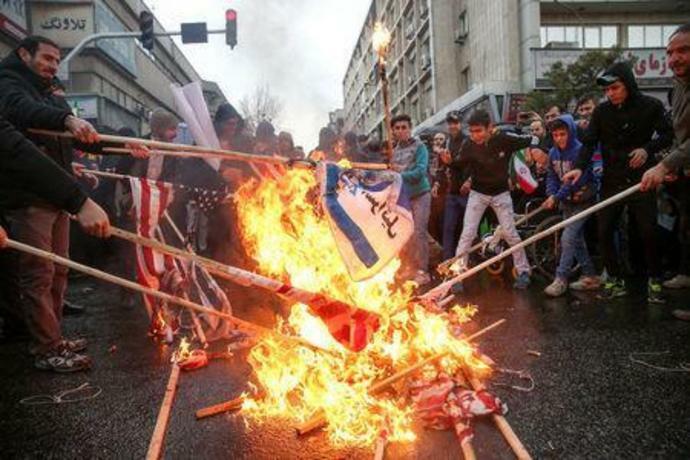 State TV showed large crowds carrying Iranian flags and chanting "Death to Israel, Death to America," trademark chants of the revolution. President Hassan Rouhani said Iran was determined to expand its military power and ballistic missile program despite mounting pressure from hostile countries to curb Iran's defensive work, state TV reported. 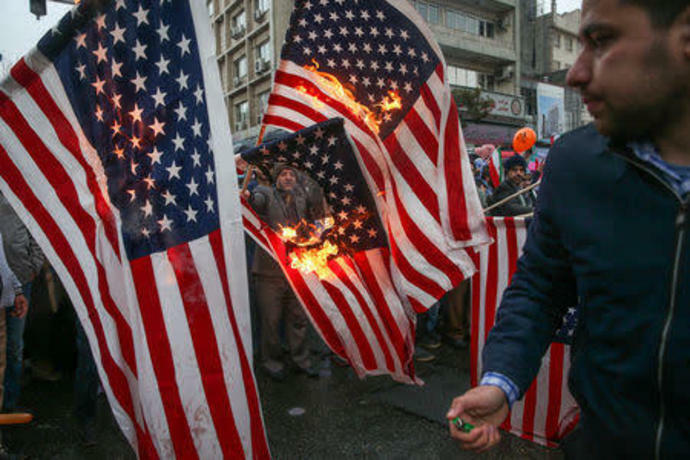 U.S. President Donald Trump pulled out of Iran's 2015 nuclear deal with world powers last year and re-imposed sanctions on Tehran, dealing a blow to the country's economy. Iranian officials said the move amounted to "economic warfare"
Soldiers, students, clerics and black-clad women holding small children, flocked to the streets of cities and towns, many carrying portraits of Khomeini and Iran's current Supreme Leader Ayatollah Ali Khamenei.